Do you shop online from retailers outside of Canada? Have you ever ordered something online that arrived alongside a sizable Customs duty and tax bill? If so, then the North American Free Trade Agreement (NAFTA) renegotiation may affect you. How? The answer is in Canada's de minimis threshold. What is the de minimis threshold and why does it matter to Canadian consumers? We have unpacked the details below. What Is De Minimis Threshold? The de minimis level is the threshold which a package sails through the border with neither tax nor duty applied. In other words, Canada's de minimis threshold is a duty-free threshold on imported goods. Up To What Value Can Be Imported Duty-Free Under De Minimis? Under the Canadian Postal Imports Remission Order and Courier Imports Remission Order, the current de minimis level is $20 CDN. Therefore goods with values equal to or less than $20, would not be subject to duties or taxes upon import. The U.S. Administration released its wish list for the overhaul of NAFTA in mid-July of this year. This wish list is long with the Canadian de minimis threshold appearing high on the list. U.S. based couriers and online merchants have been pushing hard for a de minimis level increase. They would like it to be increased from $20 to at least $200 CDN. The U.S. may likely want Canada to raise the threshold to one similar to their $800 USD level. What Is The Case For A De Minimis Increase? De minimis is a legal maxim: de minimis non curat lex. This translates to the law does not concern itself with trivial things. In this context, de minimis regimes are intended to streamline border clearance. The rationale is that the administrative burden and processing cost does not justify collecting taxes or duties on very small shipments. In other words, if it costs more to collect the duty and tax than the amount collected then it is a financial and administrative burden to the government. The Canadian Government currently allows goods valued at $20 to enter the country either by mail, courier, or transported by distributors without charging duty or taxes. This Canadian de minimis threshold has not changed in over 35 years. It is one of the lowest in the world. Many other countries have raised their thresholds in response to the growth of e-commerce. Until last year the U.S. de minimis limit was $200 USD. In March 2016, U.S. President Barack Obama quadrupled the limit to $800 USD. This meant any Americans ordering from a retailer outside of the U.S. could expect any package worth less than $800 U.S. to arrive promptly without interference at the border. Neither would they receive an additional bill to cover duties and taxes and any other fees to process those duties and taxes. All indications suggest that the Canadian consumer is on board with raising the de minimis threshold. There are many reasons why Canadians shop online, and they are no different than anywhere else in the world. They include the convenience of technology, accessibility, a wider selection of goods, targeted marketing, and sales promotions. Raising the threshold would save the Canadian consumer money they would normally pay for duties and taxes and processing fees. What Is The Case For The De Minimis Threshold To Remain Unchanged Or Kept Low? The de minimis value increase is already a hotly contested issue with retailers in Canada. Domestic retailers are concerned that a higher de minimis threshold would place them at a competitive disadvantage. This is because they would be required to levy Goods and Services Tax (GST) and Harmonized Sales Tax (HST) on the goods they sell. However, foreign retailers would not. Canadian merchants would be required to collect sales taxes on competing items sold in Canada whether in store or online and also pay duties and taxes on the imported goods. The U.S. merchants on tax alone would have an advantage over Canadian merchants ranging from 5% in Alberta to 15% in Atlantic Canada. The Retail Council of Canada argues the U.S. online merchants would experience a 12.3% (at least) price advantage over the Canadian merchant in Canada. The Retail Council of Canada fears that an increase in the de minimis threshold would lead to a massive increase in cross border orders with a negative impact to retailers in Canada. U.S. online merchants may start to offer free shipping as they do their U.S. customers. The investment made by retailers in Canada could be in jeopardy impacting wage jobs in IT, logistics, and distribution. The Council argues "Allocation of capital for U.S. and other international firms operating in Canada would be difficult to persuade their headquarters to invest in Canadian online offerings or bricks and mortar where customers could be easily serviced online from outside Canada." Some argue that the Canadian federal and provincial governments would experience a significant loss of tax and duties. 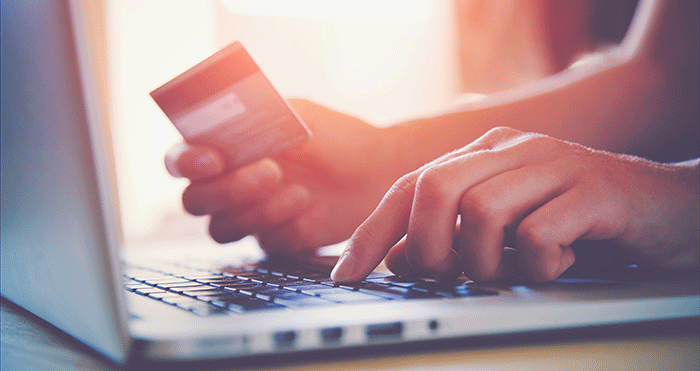 The Retail Council of Canada argues that Canada and the U.S. are not on a level playing field when it comes to the acquisition of online customers. There is no tax advantage created for inbound shipments as the U.S. does not have a federal sales tax. The U.S. does not collect state and local sales taxes at the border or for interstate shipments. Also, the U.S. dominates its online retail space; with only 22% of the U.S. customers reporting to have purchased from a non-U.S. seller. By comparison, 67% of Canadians report having made online purchases in the U.S. The recent Auditor General of Canada Report concluded that the Canadian federal government is spending more money collecting duties and taxes on shipments than those duties and taxes are worth. Simply put the government spends two dollars to collect one dollar. The C.D. Howe Institute released a report in 2016 stating the Federal Government would save $161 million per year by raising the de minimis threshold to at least $200. The report also stated there would be a net positive benefit to Canadian consumers, governments, and businesses combined of $648 million. The C.D. Howe Institute is an independent nonprofit research institute in Canada. They are considered one of Canada's influential think tanks on essential economic policy. Canadian consumers appear to be on board with raising the de minimis threshold. According to the Nanos Research Poll, 76% want it raised to at least $200. Thousands have also signed a petition organized by the Canadian American Business Council pushing for change.